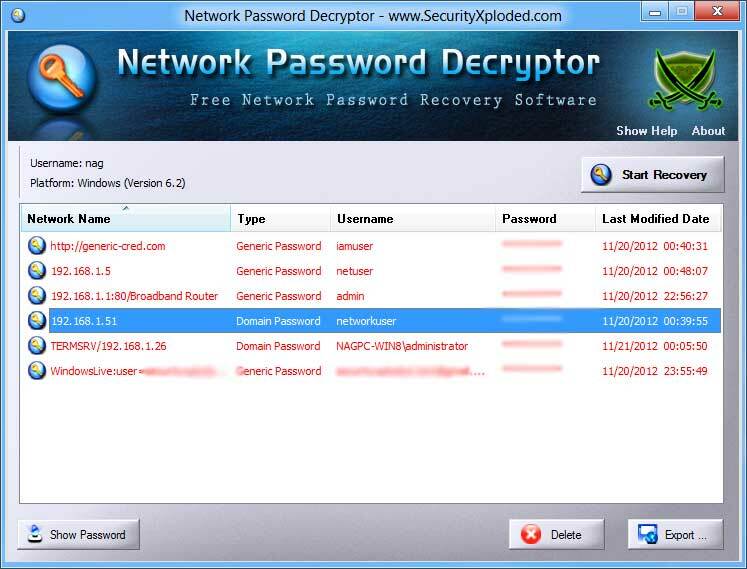 Network Password Decryptor is the free tool to instantly recover network passwords stored in the 'Credential Store' of Windows. Windows 'Credential Store' provides the framework for storing various network authentication based passwords in secure encrypted format. Not only Windows uses it to store network authentication passwords, but also other applications such as Outlook, Windows Live Messenger, Remote Destktop, Gmail Notifier etc uses it for storing their login passwords. These network passwords are saved only when the user has selected 'Remember Password' option during login time. These network passwords are stored in encrypted format and even administrator cannot view these passwords. Also some type of passwords cannot be decrypted even by administrators as they require special privileges. 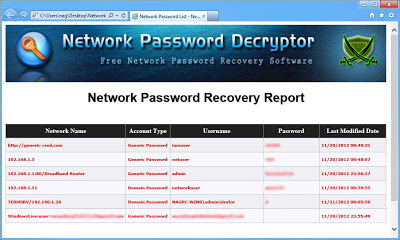 In this context, NetworkPasswordDecryptor makes it easy to detect and decrypt all these stored network passwords from Credential Store. Current version v3.0 supports network password recovery from Windows 8. NetworkPasswordDecryptor works on wider range of platforms starting from Windows XP to latest operating system, Windows 8. 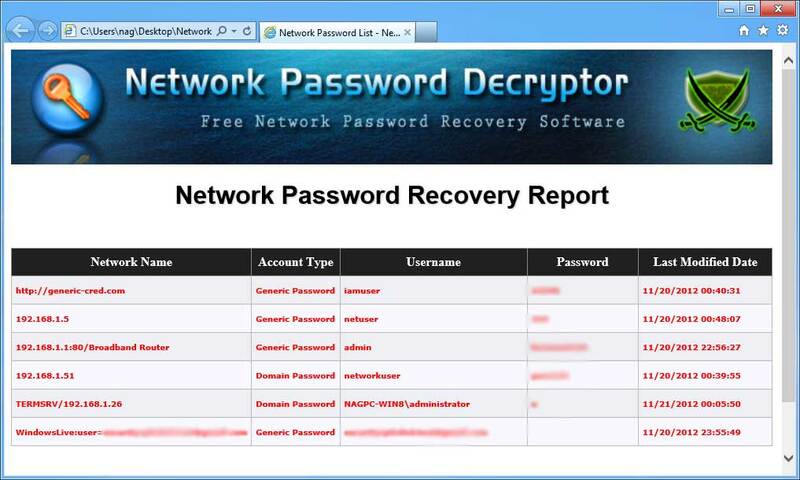 Screenshot 1: NetworkPasswordDecryptor showing all the recovered passwords from Windows 8.